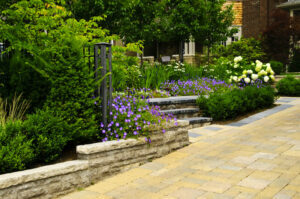 Make Your Landscape Beautiful This Spring! As unlikely as it feels, spring is almost here. As unlikely as it feels, spring is almost here. Have you been paying attention to your landscape? While your neighbors may have been unwilling to withstand the high winds and waves of frost that fell from the sky, you thought different. Sure, you stayed inside where you could be warm and safe. But even so, you still planned out ways to make your landscape more beautiful this spring. It’s almost time for spring cleaning. With spring comes new growth and new opportunities for improvement. So, don’t delay, and get around to cleaning up your gardens and landscapes as soon as you can. Get rid of weeds and make any necessary changes, such as pruning, that you think you need to do. The recent run of warm weather might have already gotten some plants started on growing, so be careful that you don’t damage them while you work. The cold winter has taken its toll on your home, and your landscape is no exception. Refresh your soil and add some mulch or compost. If you see weeds, it’s best if you get rid of them before adding a new layer of soil. Then you might have to wait several weeks and give the soil time to settle. New season, new flowers. Whether your old flowers died off, or you’d like to show off something new, don’t be afraid to plant a fresh batch of flowers. You could have roses, azaleas, or tulips, it’s all up to you. As the weeks go by, you can’t ignore your landscape. It’s understandable if you get busy and real life pulls you away from taking care of your garden, your trees, and all of your other landscape features. That said, don’t forget to maintain their health as spring arrives for real and then gradually becomes summer. This entry was posted on Friday, March 9th, 2018	at 1:51 pm	and is filed under Landscaping Design	. You can follow any responses to this entry through the RSS 2.0	feed. Both comments and pings are currently closed.